After leaving the park, the Yellowstone becomes a part of Montana. 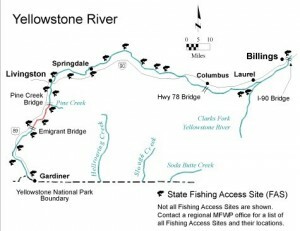 The Yellowstone has many different river features. Slow and fast moving water. 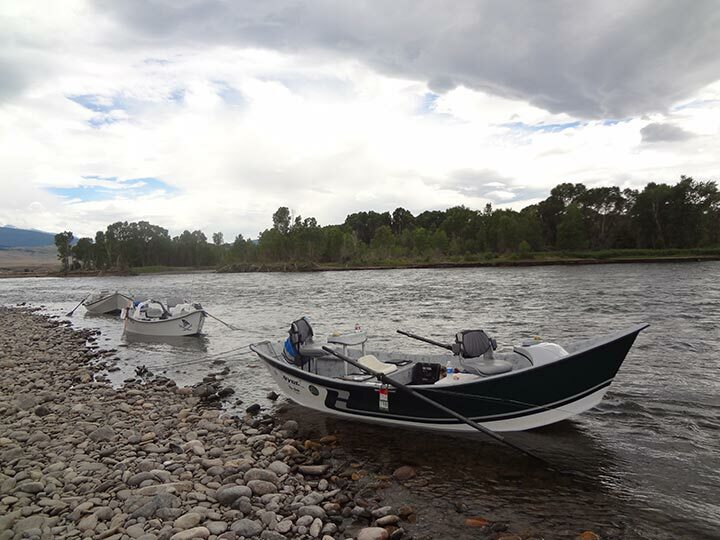 The stretches we like to fish are downstream from Yankee Jim Canyon, the river flows past the towns of Miner, Emigrant, Pray, Pine Creek, and Brisbin before entering Livingston. The stretch from just below Pray to Livingston is a famous stretch. Rainbows and browns with quality hatches of insects and beautiful scenery make this an excellent piece of water. Downstream from Livingston is BIG BROWN country and this area usually receives less pressure. 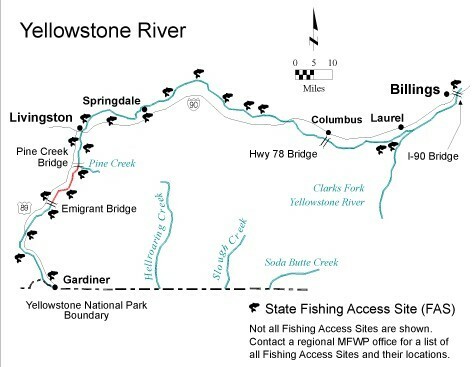 Hatches on the Yellowstone include Blue-winged Olive, Caddis (tan and black), Pale Morning Duns, Stoneflies (including the large Salmon Flies), Trico’s, and a few others. 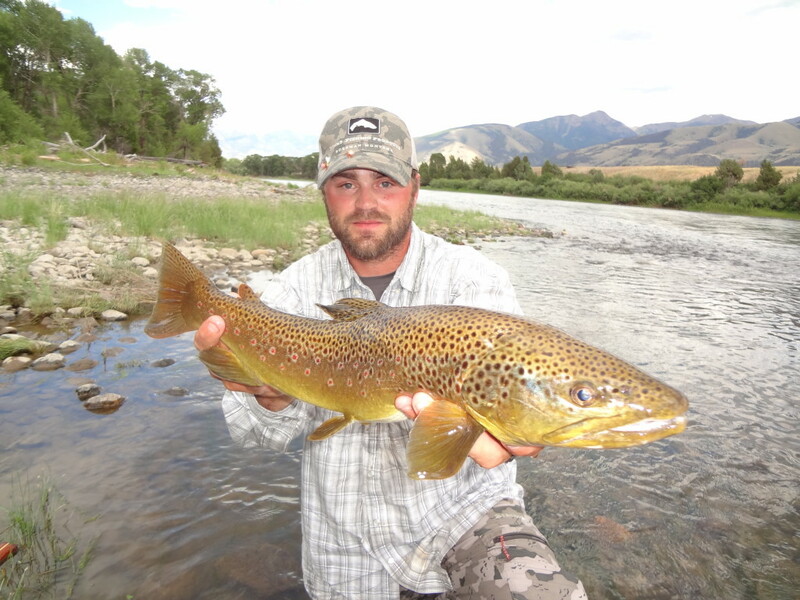 Terrestrials (especially hoppers) also work well during the late summer months. Streamers and nymphs make up much of the fishing on the Yellowstone River and produce some of the largest fish. 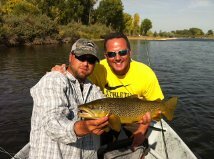 These trips are based out of Livingston or Bozeman, MT.